When the city of Acre surrendered to King Richard and to King Philip in July 1191 after a two-year siege, terms of the surrender included payment to secure the release of 2,700 hostages. The deadline for payment came and went – Saladin failed to meet the terms. Richard’s problem: where do you house 2,700 hostages? How do you keep them fed when you must feed your own army? 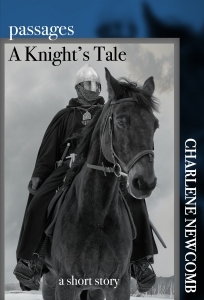 How many guards would it take to ensure the captives wouldn’t escape – he needed nearly every able-bodied soldier on the coming march to secure Jerusalem. Why didn’t Richard sell his hostages? That would take time. It was already August. The army needed to begin the march to Jerusalem or else run the risk of being caught by winter storms…. Are these excuses or valid reasons based on morals and the conduct of war in the 12th century? I was surprised that contemporary observers had very little to say about the executions. It is incredible to read the accounts of wholesale slaughter generally described in such nonchalant terms. On the seventeenth day of the month of August, being the third day of the week and the thirteenth day before the calends of September, the king of England caused all the pagans who belonged to him from the capture of Acre to be led out before the army of Saladin, and their heads to be struck off in the presence of all . . . The number of the pagans thus slain was five thousand. . .
On the twenty-first day of the month of August, after the slaughter of the pagans, the king of England delivered into the charge of Bertram de Verdun the city of Acre. . . On the twenty-second day . . . the king of England crossed the river of Acre with his army, and pitching his tents between that river and the sea, on the sea-shore between Acre and Cayphas, remained there four days. For blows and bolts of arbalest. On Tuesday 27 Rajab [20 August 1191] the Franks mounted up and came outside the city with horse and foot. The Muslims rode out to meet them, charged them and drove them from their position. Most of the Muslims they had been holding were found slain. They had put them to the sword and massacred them but preserved the emirs and captains and those with money. All the others, the general multitude, the rank and file and those with no money they slew. Then they brought the Muslim prisoners whose martyrdom God had ordained, more than three thousand men in chains. 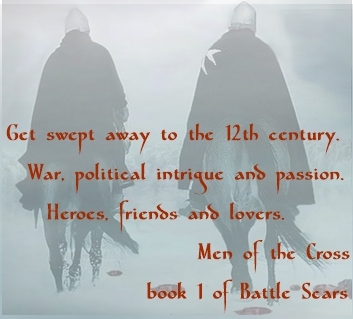 They fell on them as one man and slaughtered them in cold blood, with sword and lance . . . Many reasons were given to explain the slaughter. One was that they had killed as reprisal for their own prisoners killed before then by the Muslims. Another was that the King of England had decided to march on Ascalon and take it, and he did not want to leave behind him in the city a large number (of enemy soldiers). God knows best. Richard justified his actions in a letter to the abbot of Clairvaux.² This was war, and Saladin had not met his end of the agreement. Many of Richard’s contemporaries and numerous scholars over the years have condemned the Lionheart for his decision. It was a brutal and unchivalrous act. Would Richard’s reputation have suffered less if the besieged had chosen to fight to the bitter end? Those sieges did not end well for the losers: pillaging, burning, and killing. But the garrison at Acre had surrendered. Richard sought advice from his council, and seeing no alternatives if he intended to be at Jerusalem’s gate before winter set in, he issued the orders. The sights, sounds, and smells of the massacre haunt my fictional character Henry de Grey in Men of the Cross. He will carry these memories for the rest of his life. Many of Henry’s fellow knights do not speak of the things they saw, the things they did. Henry struggles with the king’s decision to execute the hostages. He questions how such acts can be done in God’s name. Henry cannot justify the actions, but he recognizes there is a time to fight. Men of the Cross is Henry’s chronicle. Men of the Cross is available in print and for Kindle on Amazon & Amazon (UK) and other Amazon sites worldwide, for Nook via Barnes & Noble, and via Smashwords in multiple formats. ¹ “Geoffrey de Vinsauf’s itinerary of Richard I and Others, to the Holy Land” is a chapter in Chronicles of the Crusades: contemporary narratives, compiled and edited by Henry G. Bohm. See the translated primary sources section of my reference resources page for citations for the other authors. ² I had intended to quote from the source of this information, but have to write from memory because the book (by Gillingham, I believe), was missing from the library’s shelves! This was a powerful scene in your book, Char. What a tragedy…and those battles are still being fought today! Thank you, Cathy – and yes, it is sad that mankind cannot put aside the hate. So true, Lynne. I hope that horror comes across in my novel. When you get to that part, you’ll have to let me know. Thank you for this rational and balanced account. To many modern writers talk about the slaughter of “women and children” and portray this as an act of barbarism than a – possibly excessive but none the less military – decision. Hi Helena – If I recall neither of the Muslim chroniclers mentioned ‘women and children’, and Baha’ al-Din specifically says “three thousand men.” I imagine Richard was very angry – he needed that money to cover expenses. But I have to agree with you: he weighed his options, sought input, and made a military decision. Thanks for stopping by and commenting.